The Arboretum's collection of redbuds (Cercis) is one of the most comprehensive in North America. In 2008, the collection was recognized as such by the North American Plant Collection Consortium (NAPCC) and officially designated a national collection. The NAPCC is a network of botanical gardens and arboreta coordinating a continent wide approach to plant conservation and plant collections management. Redbuds are widely distributed throughout the northern hemisphere with species occurring throughout eastern and southwestern United States, Mexico, Asia, southern Europe, and parts of the Middle East. The Arboretum's collection contains species from all of these regions with a special emphasis on our native eastern redbud (Cercis canadensis). 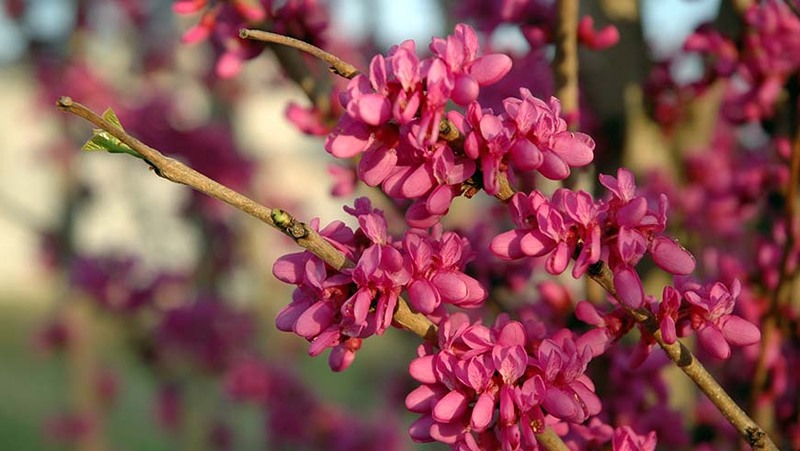 Wherever they are found, redbuds are cherished for their cheerful spring flowers in shades of pink and white and their distinctive heart-shaped leaves.